There had been dissatisfaction expressed through the 1970s about the commitment to the Midlands region by ATV, which continued to maintain a substantial proportion of their production outside the region (although since it was inside their former London region this was not as strange as it might appear). The Midlands region is among the least homogenous of the ITV regions, and it is not surprising that the most vocal complaints came from the East Midlands, although it has to be noted that the local councils in Birmingham weren't that happy either, despite it being ATV's Midland base. Various ideas were considered redrawing the franchise map by the IBA in 1979; the leading ones being transferring Ridge Hill to the Wales and West of England region, and the creation of a new separate region for the East Midlands based on the Waltham transmitter. However there were various problems with these suggestions; in particular it wasn't clear that the area of Waltham could support a station on its own, and the only way of augmenting it was to also include Belmont, which would produce as many problems as it might solve. It also was not clear whether Oxford should in this break-up scheme go to London, South of England or remain in the Midlands. In the end a much less radical approach was adopted, where the Midlands region was retained, but elevated to a dual-region in the tradition of Wales and the West, with a requirement for consideration of the different requirements of the two sub-regions in regional programming. The new contract terms were published in January 1980, with a closing date of 9 May 1980. Three applications were received: ATV Midlands Ltd, Mercia Television, and Midlands Television (MTV). The latter two concentrated on exploiting the weakness of ATV's regional programming, realising that their network output, although not to everyone's taste, was considered to be strong. After the consultation exercise which was a feature of this franchise round the IBA considered that although there was some merit in both the new entrants' proposals, that they did not have the necessary financial and programme depth. However, there was to be a sting in the tail for ATV. The main condition was a stipulation that the parent company Associated Communications Corporation Limited should only hold 51% of the new licence, and that the name used by the contractor 'should be changed to indicate the creation of a substantially new form of company'. The desire of the IBA was that the other 49% of the company would be taken up by individuals or companies based in the Midlands, bringing some form of local involvement. However, astonishing though this may seem now, there was little interest expressed in the new company, possibly because of the general poor economic climate, and the shares were concentrated in the hands of Sears, Ladbrokes, BPC (later Robert Maxwell) and DC Thomson. Three or four people supposedly turned down the position of managing director, finally taken by Bob Phillis, former head of Sun Printing and Independent Television Publications. For a week before the start of the service, a series of advertisements were ran in local newspapers in the transmission area, based around the theme of something new in the sky, and a round glowing ball (clearly from the original logo). It wasn't long afterwards that the complaints started to roll in. Apart from those attracted by OTT and the balloon dance, there were those who weren't comfortable about the name: 'Sounds more like a railway company than a television station' was one such made in a letter to the Leicester Mercury. Actually the story behind the name was even stranger. An individual had registered tens of company names with Midlands associations, including Central Television, with the aim of gaining a large pay-off. However, he was out-flanked by the simple trick of calling the company Central Independent Television. More serious for Central was the dispute that kept the new local news service for the East Midlands, hosted by Anne Diamond and Nick Owen off the air, although a programme was produced every night. This poor start depressed the image of Central throughout the 1980s, despite shedding a number of early programming failures quickly. 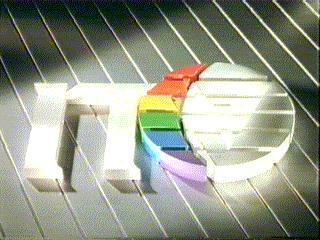 1986 overshadowed a number of television companies as they considered the challenge of the advertised DBS licence, the questions being whether to bid, and if so with whom. Central had long talks with both Granada and Carlton but ultimately declined to join either consortium. This was against the recommendation of Phillis, who had recommended joining the Granada bid, which eventually was the winner, and the outcome was that Phillis accepted an offer to join Carlton. In February 1989 Michael Green of Carlton was on Concorde with Cyril Stein, the chairman of Ladbroke, and Green suggested that Ladbroke should sell its 20% share in Central to Carlton for £5-6 a share. The final agreed price was 578p, or £29.5million in total, although the Ladbroke board was somewhat divided on the sale. Carlton installed Phillis as their non-executive representative on the board - he had only missed one meeting since leaving! Just over half a year later Central sold Zenith Productions to Carlton for £6.3million. This divestment was ahead of the requirement to take 25% of productions from independents - which would then include Inspector Morse etc from Zenith, rather than it counting as one of their own. Michael Green, on holiday in the Carribean found himself berthed next to Robert Maxwell's yacht. After a few drinks he found himself being offered Maxwell's 20% of Central. Phillis urged Green to accept, but he declined on the advice supposedly of media friends. Maxwell placed his stake in the end through City institutions. Central pulled what was possibly the masterstroke of the round for the 1993- franchises - a further split in its own region, creating a southern sub-region based on the Oxford and Ridge Hill transmitters with its own news service. The ITC made this a requirement on any bidder. To counteract this increase in costs Leslie Hill, chairman since 1987, cut 500 jobs. A PR exercise was launched through newspaper advertising. All these efforts led to being able to put forward a low bid, in the end settling for £2000, in addition to the 11% of qualifying revenue. Additionally Central took a 20% stake in collaboration with MAI and SelecTV in the winning consortium for the South and South East franchise Meridian. The attractive terms that Central had gained were the main cause of them being considered a prime takeover target, when restrictions were lifted. From 1 January 1994 companies were permitted to hold two licences, providing they weren't both in London, 20% in another, and 5% in any other. Immediately after the announcement was made in November 1993 Carlton went to DC Thomson to acquire their Central stake, offering a 2000% profit on their original purchase price. Green then made an approach to the Central board, who were considering other options, such as taking over Anglia or selling a minority stake to TCI. In the end the logic of accepting a bid from Carlton could not be disputed, the final bid valuing Central at £758 million. After the takeover there was a reorganisation to integrate parts of Central and Carlton. 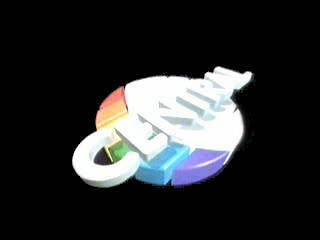 The production part of Central became Carlton UK Productions, but Central Broadcasting retains the Midlands licence.